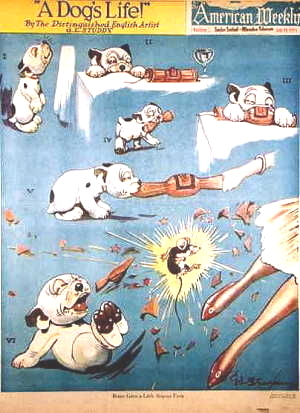 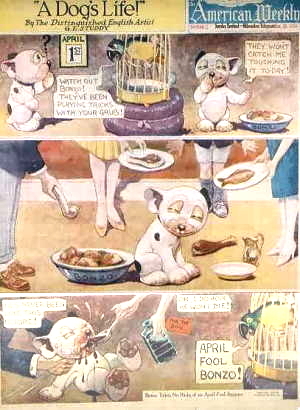 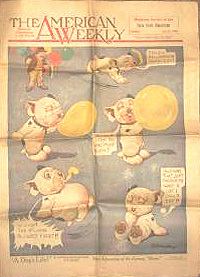 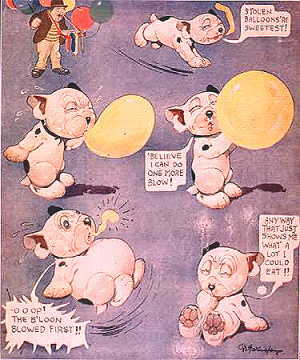 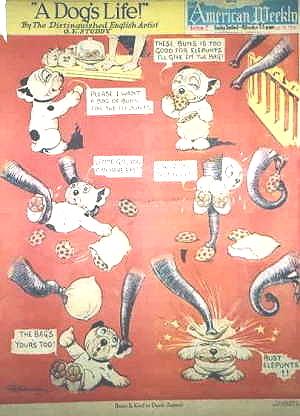 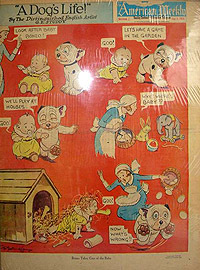 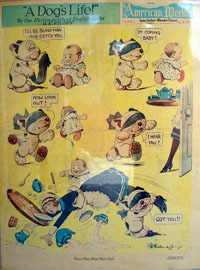 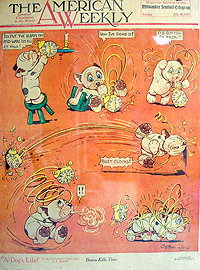 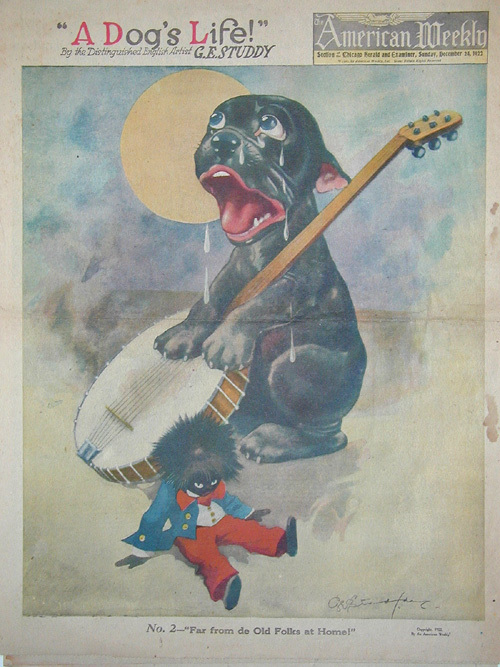 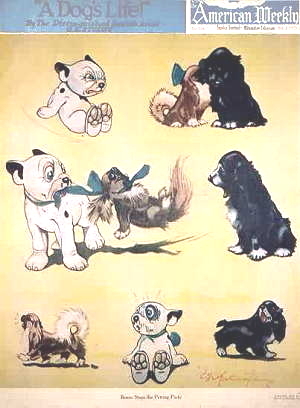 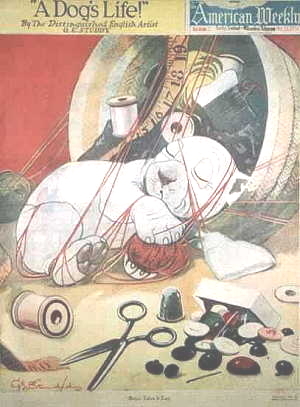 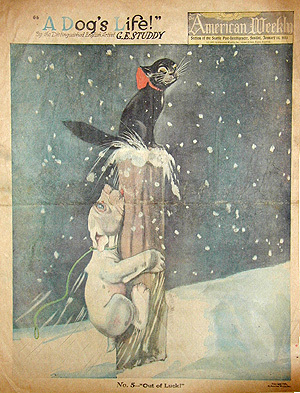 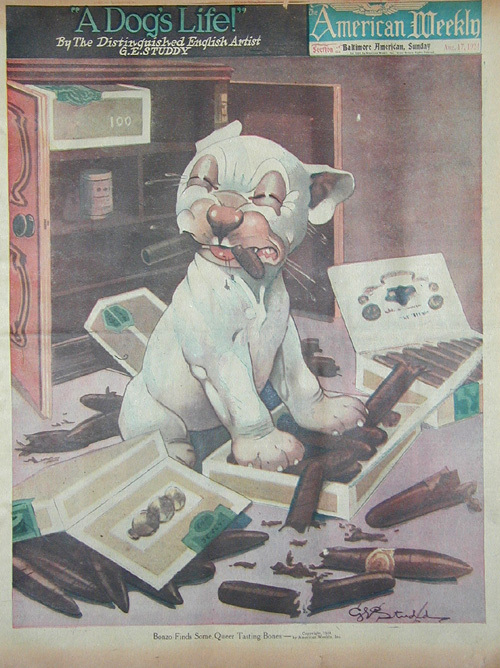 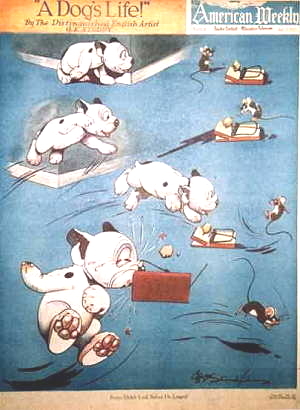 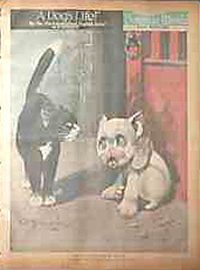 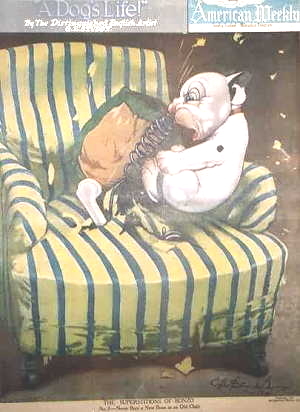 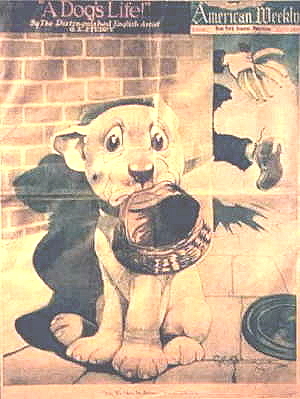 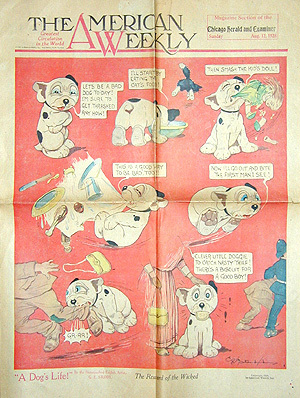 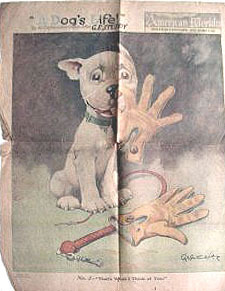 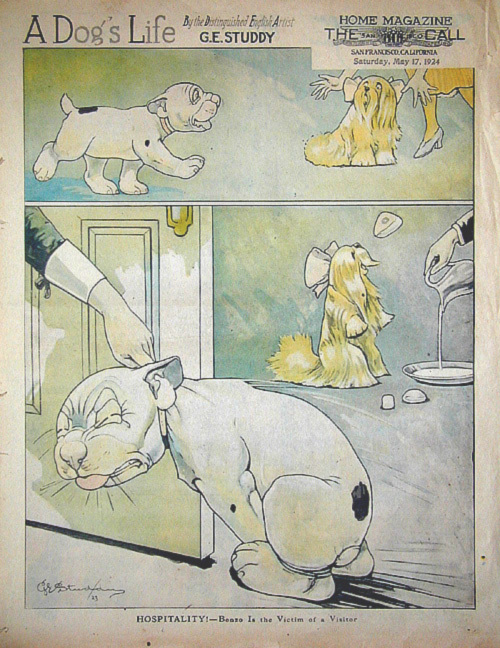 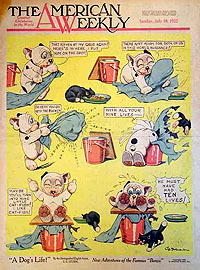 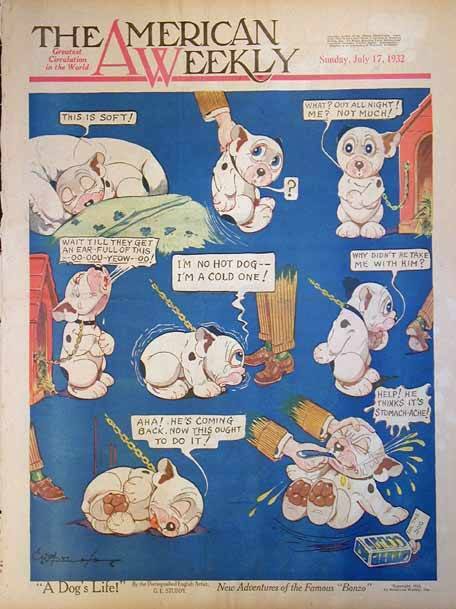 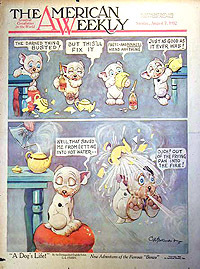 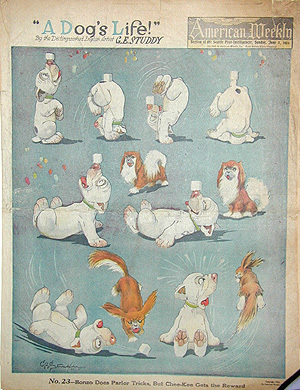 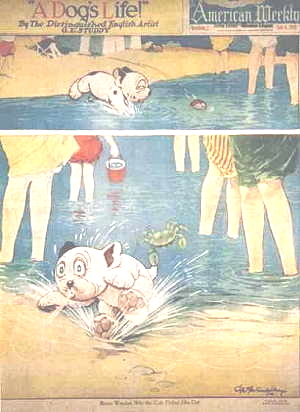 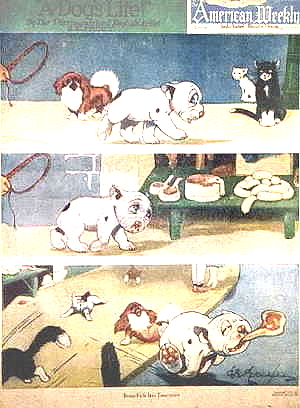 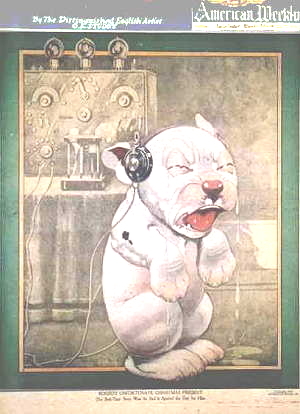 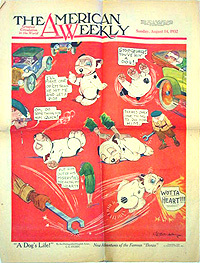 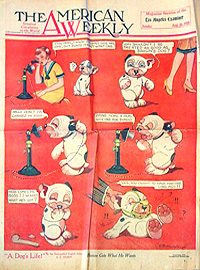 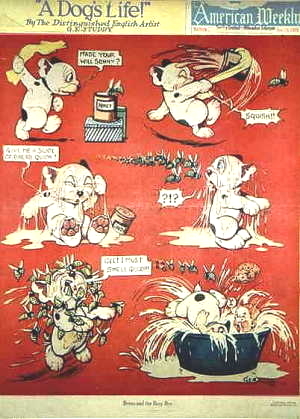 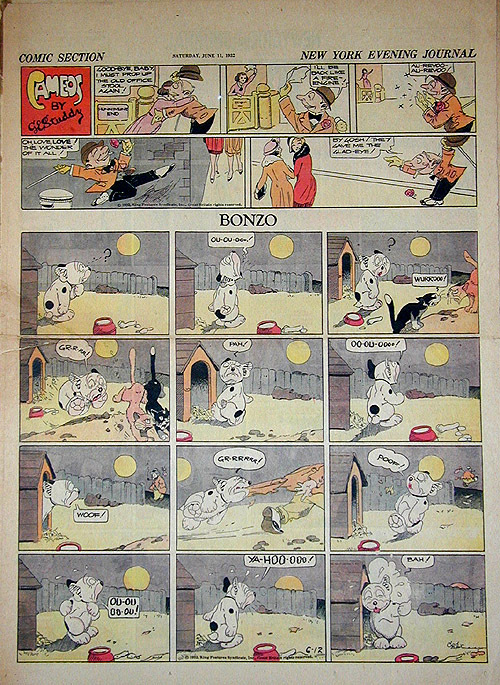 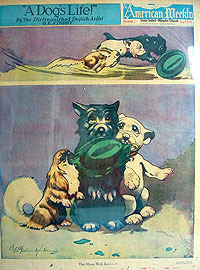 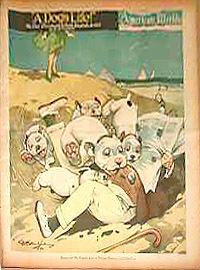 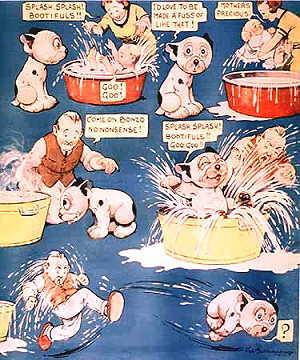 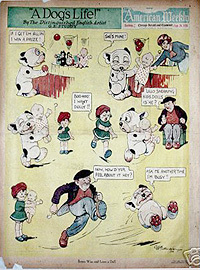 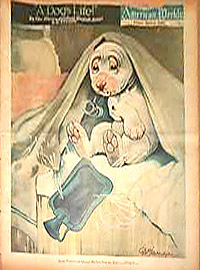 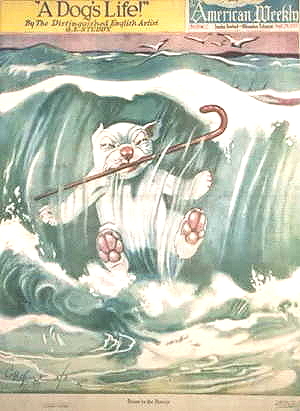 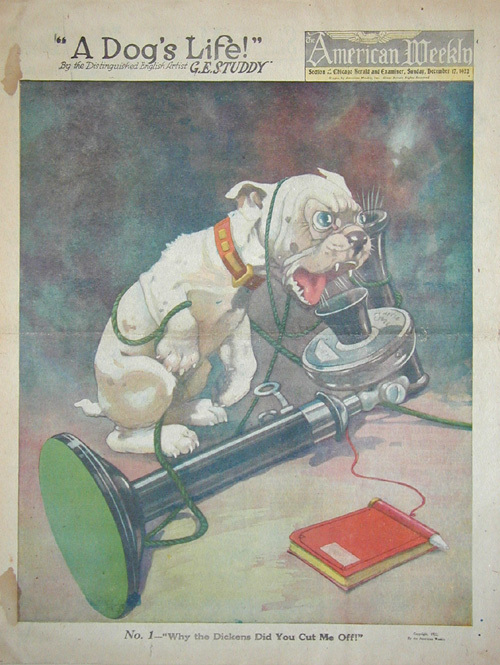 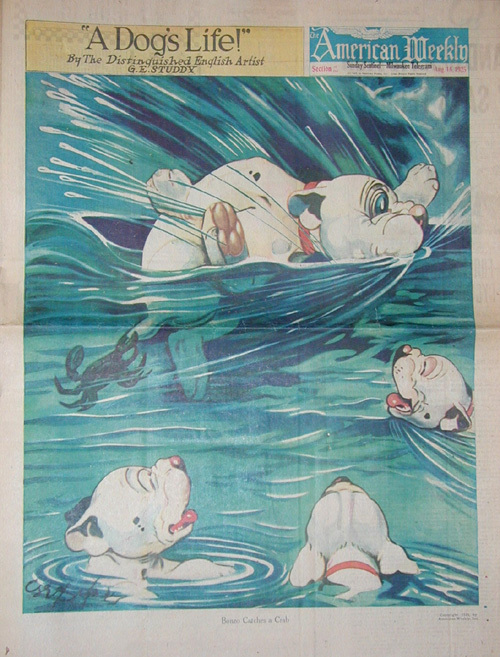 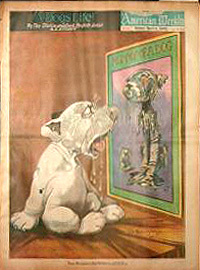 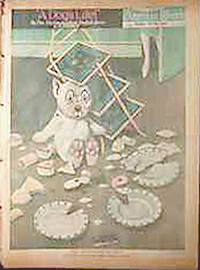 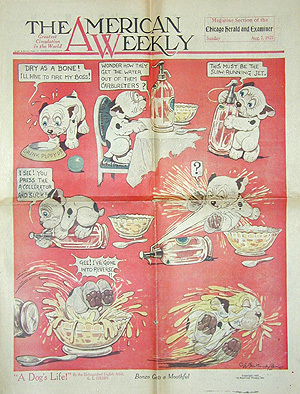 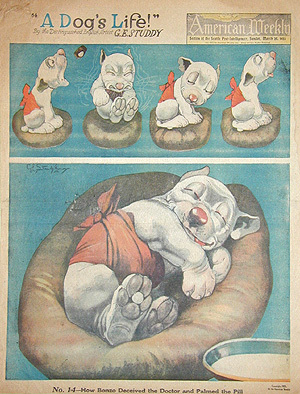 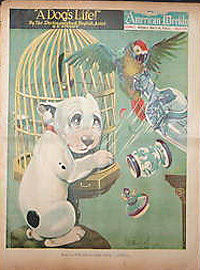 Bonzo appeared regularly in newspaper cartoon and comic sections. 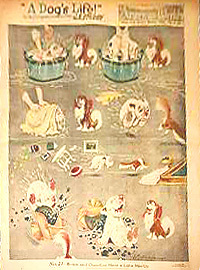 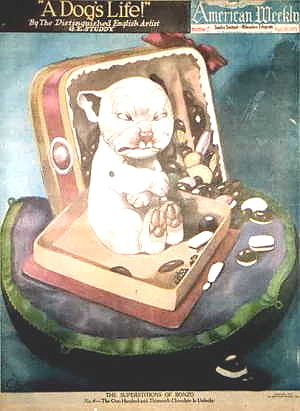 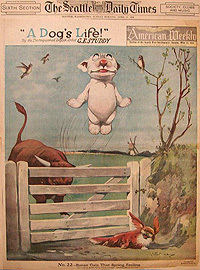 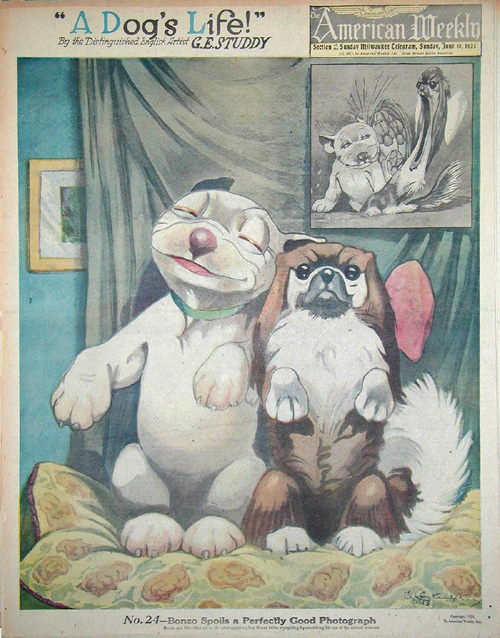 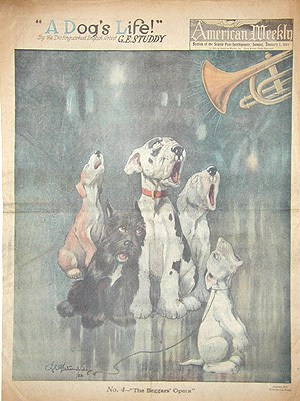 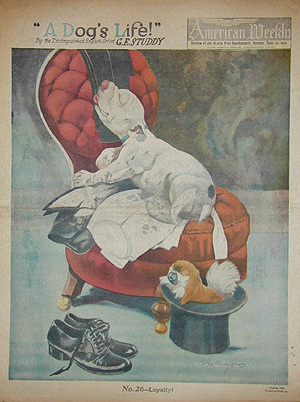 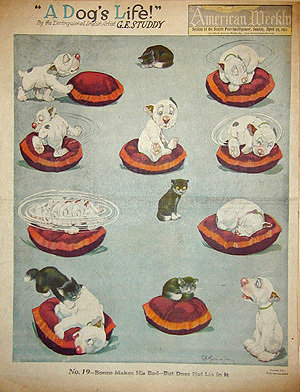 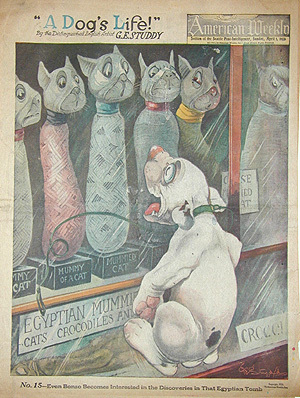 A long-running series was seen in the American Weekly Sunday supplement and went under the title "A Dog's Life". 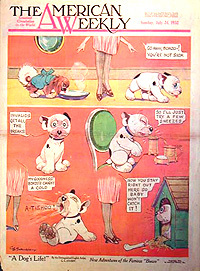 The first in the series came on December 17th 1922, after which there was no stopping him - some further examples are shown below. 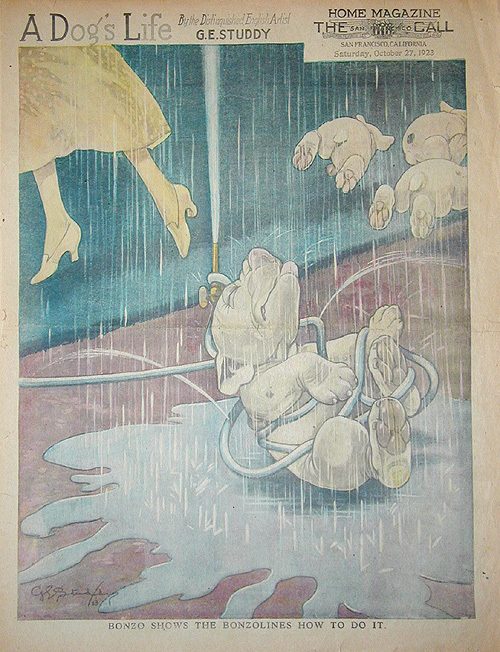 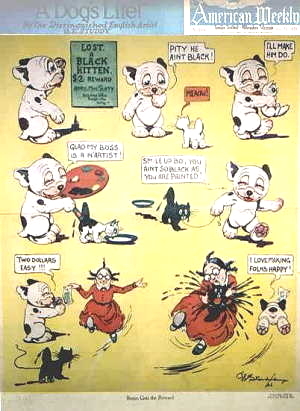 The cartoons were all broadsheet posters, if it weren't for the fact they were printed on newspaper they would be priceless! 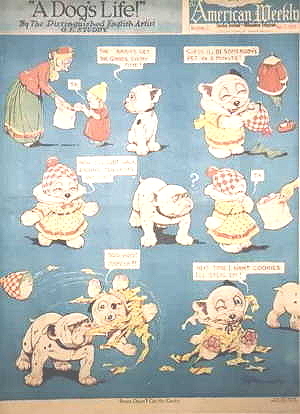 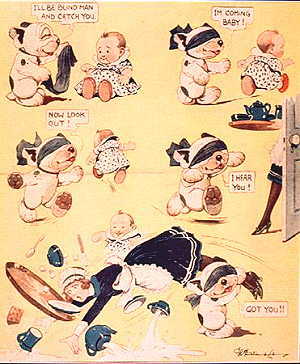 Further strip cartoons appeared in many other, primarily American, comic supplements and the ones seen below are from the Baltimore Sun. 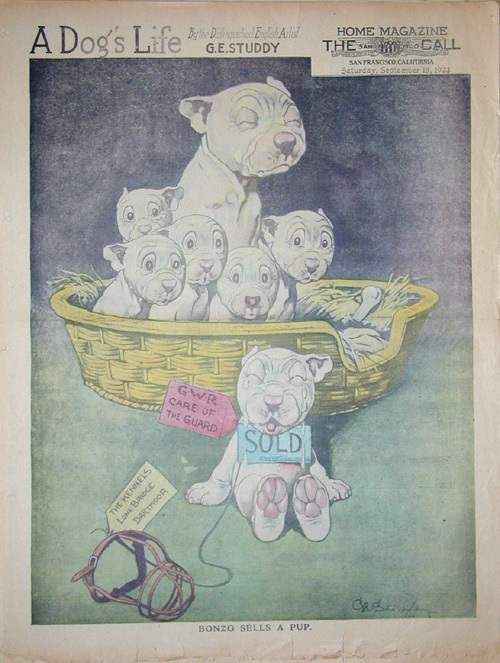 These can also be viewed on the Kenilworth Galleries site and the gallery are offering them for sale. 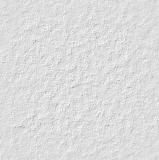 Those interested should contact Rebecca Shute at Kenilworth Galleries. 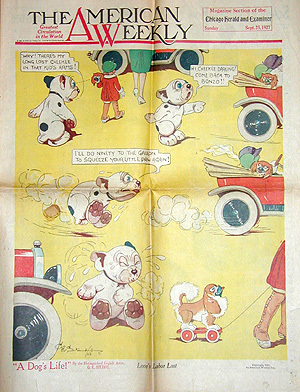 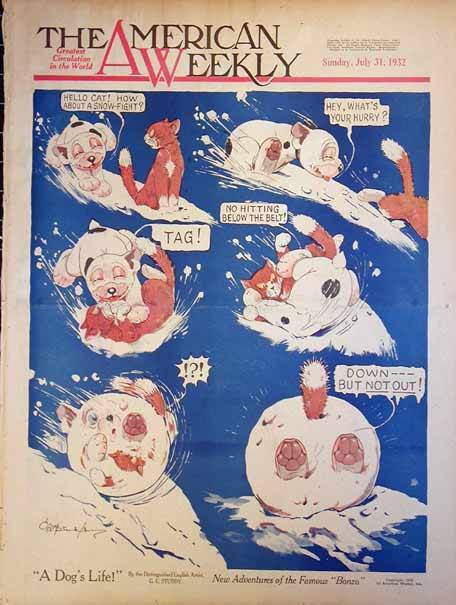 Studdy also produced strip cartoons used by the US broadsheets and Bonzo would share a page with a strip entitled "Cameos by G.E. 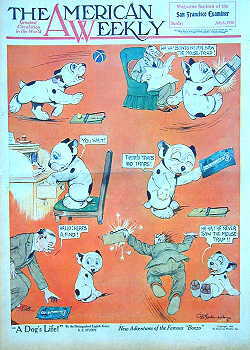 Studdy", a series of witty observations of public life . . .